Ingermanland or Ingria lies along the southern shore of the Gulf of Finland. 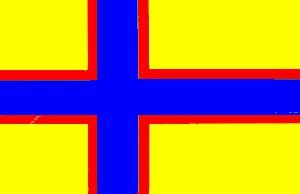 Ingrian Finns are part of the Finno-Ugric peoples. Their literary language is the same as that of Suomi Finns and is complemented by various local dialects. Ingermanland has a population of around six million, the majority of whom live in Saint Petersburg. The Ingrian Finn population in Ingermanland consists of around 20,000 people, accounting for 0.3 percent of the total population of Saint Petersburg and the surrounding areas. Ingria became a province of Sweden in 1617, after which Ingrian Finns emigrated to the area and became the region’s majority. Following a Russian conquest, Sweden ceded Ingria to Russia in 1721. In the early 20th century, Soviet authorities started to “russify” what was then Leningrad Province, massively deporting Ingrian Finns and replacing them with people from other parts of the Soviet Union. Within only 20 years, 97 percent of the population of Ingria were removed, school instruction in Finnish, Lutheran churches and Finnish-language literature were either eliminated or prohibited. After the fall of the Soviet Union, the few remaining Ingrian Finns were allowed to emigrate to Finland. Although the situation improved after 1993, the Inkeri still had a long and difficult road ahead in order to preserve their language and culture.